This case was filed as a collective action under the Fair Labor Standards Act, 29 U.S.C. § 201 et seq. and also asserted individual claims for retaliation. It’s particularly useful because it addresses a motion for partial summary judgment as to the individual retaliation claim, and takes the form of a report & recommendation by the magistrate judge, which was affirmed by the district judge. I have attached both orders to the analysis below. Reloading? There’s a Deadline For That. 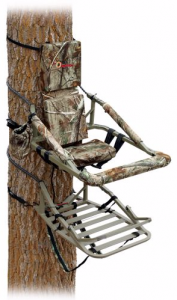 This is a product liability case arising out the use of a treestand, shown at right. 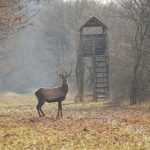 For non-East Texans, treestands are used for hunting when you don’t have a conventional stand, an exemplar of which is shown at left. The deer is clearly Photoshopped in since they never come this close to any deer stand I have ever been associated with. Deer stands for most hunters involves a gun. My dad, on the other hand, favored Snickers snack-size bars and cigarettes, and usually left the gun at the house. (If you stop and think how much work you’ve bought for yourself if you actually kill a deer, forgetting the gun makes a lot of sense). But try not to picture the danger of a redneck climbing a tree to try to get into the aforementioned treestand with a rifle, and return to comforting thoughts of scheduling orders, which in this case involved, as they are wont to do, a deadline to amend pleadings. In this case, the allegedly injured would-be deer assassin sought to amend his pleadings two months after the deadline.